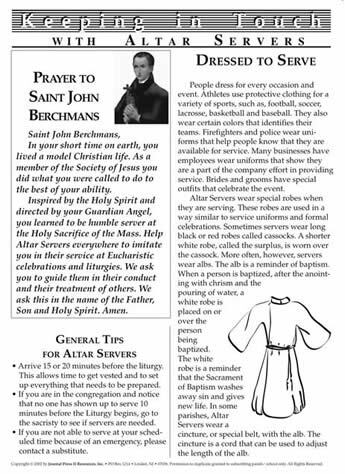 Keeping In Touch With Altar Servers are communications KITs that offers a variety of topics, suggestions, and ideas that can enrich Altar Servers in their ministry. Since Altar Servers in many parishes include children and youth, most of the resource Masters in this set are adapted for them. 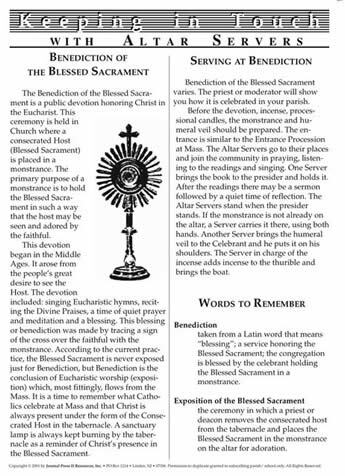 The Altar Server schedule or announcements can be added to the back of the newsletter or handout before making copies for everyone. 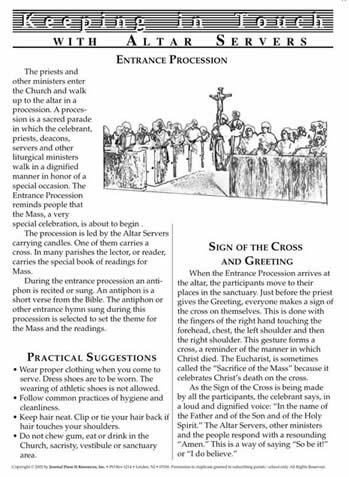 The Altar Server Pin (shown at top right) information is available by clicking. Sets are ordered and downloaded one at a time. 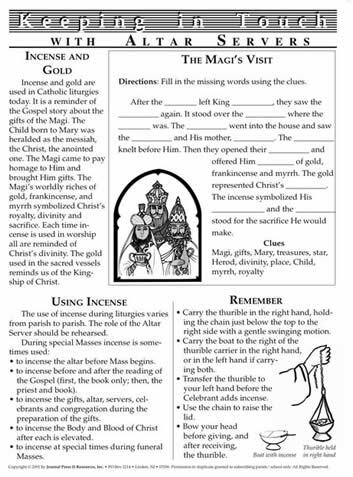 Return to this page to select additional Keeping In Touch with Altar Servers Master Set.